There are a number of bets that you can place related to Super Bowl LIII that go beyond the winner and the total points that are scored. These are referred to as prop bets, and often relate to such things as the total number of yards a quarterback will throw, who will score first, or which running back will have more yards. There are also a number of bets related to events surrounding the Super Bowl. 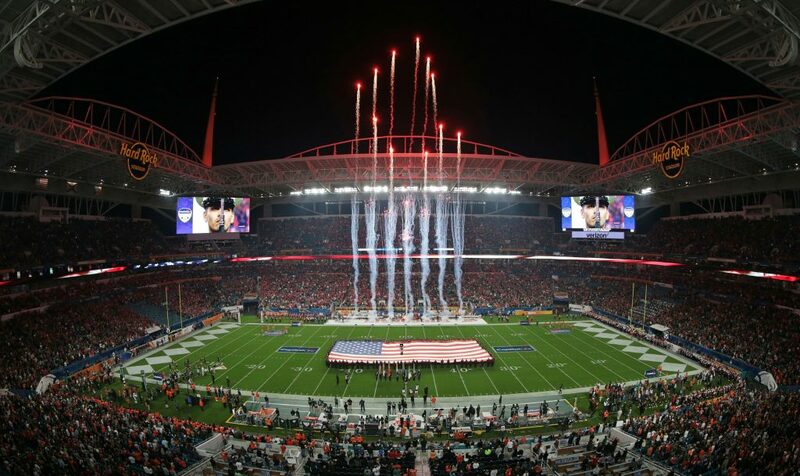 This includes such things as what the musical act will be wearing for the halftime show, how long the national anthem will last, and what will be the first commercial to be shown. However, many people don’t realize that you can make bets that are not only related to the Super Bowl but that cross into other sports as well. Here are some of the best cross sport prop bets you can place a wager on for this Sunday. There are a number of NBA-NFL bets that you can place, starting with how many points Tobias Harris scores against the Raptors on Sunday. It is a +150 bet that he will score more points than will be the longest run of Super Bowl LIII. For fans of Kyree Irving, you can place a wager on whether he will score more points than the number of yards that Rex Buckhead rushes for on Sunday. The wager on that is -120. You can also make a wager that Irving will have more rebounds than James White will have receptions (-120). Team totals are also up for grabs. Should the Toronto Raptors score more points than the Los Angeles Rams gain in rushing yards you can earn the +115. How about going with -155 for Serge Ibaka having more rebounds than total punts in the Super Bowl. Then there is the -120 wager that Danny Green will make more three-point field goals than Tom Brady will throw touchdown passes. Wagers abound in the NBA on Sunday. Will Paul George make more three-pointers against the Celtics than Todd Gurley will have receptions in the Super Bowl (-120)? Russell Westbrook is often good for a triple-double, so you can place a wager on how many total points, assists, and rebounds he has versus the total number of rushing yards by C.J. Anderson (-140). College basketball also offers you some interesting wagers. Maybe you want to wager on the total points that Villanova will score against Georgetown (-120) against the highest receiving total for any player on the Rams (-120). The National Hockey League offers a number of great wagers for you as well. This starts with the total number of goals scored in the NHL on Sunday (-110), which has three games scheduled, against the total number of rushing attempts by New England running back Sony Michel (-130). How about the total number of goals scored by the Calgary Flames (-120) versus the number of tackles that New England’s Dont’a Hightower makes (-120). Edmonton superstar Connor McDavid can provide you with a solid wager as well, as the total number of shots he takes (-135) is pitted against the total number of successful field goals in the Super Bowl (-105). Or you can wager on the number of saves that Montréal goaltender Carey Price makes (-105) against the total number of receiving yards for Philip Dorsett (-135). The baseball season is two months away, but that doesn’t mean that you can’t find a good cross bet with Major League baseball. You can wager on the number of passing yards that Jared Goff has on Super Bowl Sunday (-120) verse the contract that free-agent Manny Machado receives in millions of dollars (-120). You can also wager on past performances. One such offering allows you to compare the total number of runs scored by the Boston Red Sox in the 2018 World Series (-120), 28 in all, versus the total number of points that the New England Patriots will score on Sunday (-120). There is one great golf wager out there as well. You can wager against Tiger Woods first-round score in the Masters (-140), not due to be played until April, against how many total yards Todd Gurley rushes for on Sunday (even).